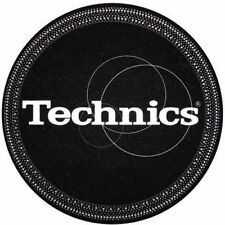 PAIR Technics Slipmats Slip Mats - 12" 1200 1210 - black red and silver. Condition is Used. But looks like new. Printed on high quality polyester felt for the maximum colour depth and smooth finish. 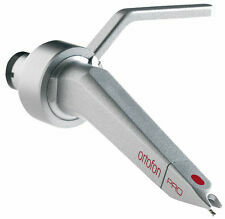 Suitable for All 12" Turntables. Printed on high quality polyester felt for the maximum colour depth and smooth finish. Pair of high quality blue felt slipmats with Technics Strobe design in gold. 9am-6pm, Mon-Sat. DVDs, films & TV. Silence background noise and improve sound. technics union jack slipmats 1 pair. technics union jack slipmats 1 pair.. Condition is Used. Dispatched with Royal Mail 2nd Class. Rest assured your information will not be given, sold, rented or loaned to any third party. WE DO NOT ACCEPT MONEY ORDERS FROM ANY COUNTRY. 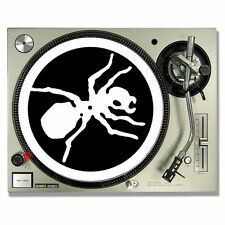 SKA (2 TONE) - MUSIC IS LIFE TURNTABLE (RECORD PLAYER) SLIPMAT. DYE SUBLIMATED SLIPMAT. SKA (2 TONE) - MUSIC IS LIFE. If Not Already Sealed For Extra Protection. These slipmats have the finest polyester felt fibres that feel as good as they look. 300mm x 300mm. Pair of Northern Soul - Keep The Faith 12" DJ Turntable Slipmats. Printed on high quality polyester felt for the maximum colour depth and smooth finish. Or 7" Single Slipmat. STUNNING Hard to Find Slipmat. ANY 1 slipmat from those shown in photos. Limited Edition TROJAN RECORDS -> Pro 12". It has a stunning crystal image that has been effectively dyed throughout the profile of the mat (rather than 'vinyl overlaid', 'embossed' or 'screen printed') onto the surface -> This gives the mat a totally flat playing surface, ideal for vinyl records. PRINT COLOUR: WITH BLUE LOGOS. WE DO NOT ACCEPT MONEY ORDERS FROM ANY COUNTRY. Blue and Gold Strobe Felt quality slipmats with printed Gold Technics Logo. Sold as a pair. Turntable mats can make vinyl sound clearer with greater separation and detail. 3mm thick felt is great for supporting lighter thinner vinyl records. 1Pc xLP Slip Mat. Cushions your valuable vinyl to help achieve maximum record life. Green felt quality slipmats with printed black bold Technics Logo. Sold as a pair. Blue Felt quality slipmats with printed white Technics Logo. Sold as a pair. Suitable for all types of slipmat. Made in Japan by slipmat inventor Dr Suzuki. OPUS EPONYMOUS. If Not Already Sealed For Extra Protection. ALL SLIPMATS ARE 100% POLYESTER. Black and silver spiral Felt quality slipmats with printed white Technics Logo. Sold as a pair. One mat is labelled "Technics 1 " & the other "Technics 2 " -> turning your decks into a 70's Reel-to-Reel machine! 12" Slipmats. These classic Dj slipmats are back! For those of you that didn't bag a pair back in the 90's, now is your chance! If you're a casual vinyl listener, then you may have never heard of or used a turntable slip mat. Unlike regular rubber mats, slipmats are purposefully designed to allow the record to slip back and forth when pressure is applied. 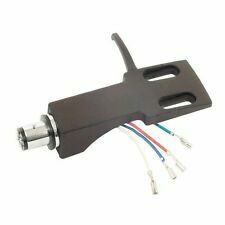 These are specifically designed for DJs, and many different options can be found on eBay. What are some common features of turntable slipmats? Felt material: By far the best material for allowing records to slip yet stick when necessary is felt. Felt provides a soft surface that won't scratch the record when it's moving, but it also provides enough friction to keep the record spinning at the speed it's supposed to. 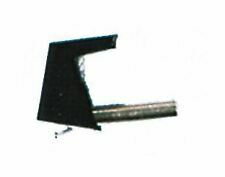 When a DJ scratches or applies pressure to the record, the felt gives the record the same response each time. Protection: A factor often overlooked by slip mat users is the protection of the records when on the turntable. Though scratching can be a destructive process, not using a properly fitted slip mat can destroy the records even faster. 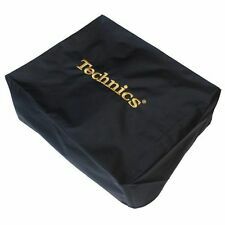 Therefore, all high-quality slipmats will properly fit records of most sizes. Patterning: Most slipmats come with some sort of distinct patterning or branding. 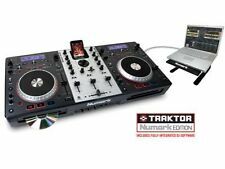 Though this does not directly help with scratching or playing records, it adds some flair to the DJ's setup, particularly when switching out a just-played record for a new one. How do you pick the right slipmat? If you're looking for slipmats, then there are a few factors to consider. First, you should consider the turntables you're currently using. Each turntable has slightly different parameters and features, so they may have slipmats optimized specifically for that model. 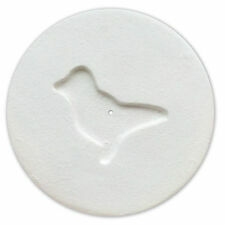 After you've considered that, then you'll want to consider weight and feel of the slip mat. Heavier slipmats require more force to move, and different material mixtures can change the amount of force needed as well. Picking the right weight and feel comes down to personal preference, so it's recommended that you test out a few mats before purchasing to ensure that your mat you’re your preferences. What can slipmats be used for? Slipmats are primarily used for DJing with vinyl. This is because they allow for record scratching, stopping, and rewinding without destroying the record or removing the needle from the record. You can also use slipmats for regular vinyl listening, though this is not as common of a use.